Another term that is often associated with crowdsourcing (besides those already mentioned – the collective intelligence and open innovation) is the “open source”. Specifically, crowdsourcing is often associated with the process used to generate the open source, known as OSSD (Open Souce Software Development). The OSSD has been used to develop all kinds of software, from operating systems such as Linux, to simpler programs like email clients (Thunderbird), browsers (Firefox) or office suite (Open Office) among others. 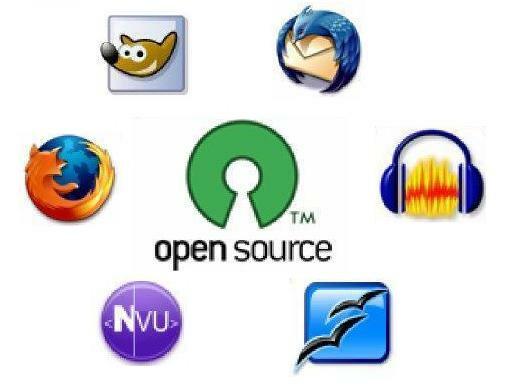 Open source is defined in the Open Source Initiative website as a kind of production that involves allowing access to the essential elements of a product (such as source code for software) to anyone fot the purpose of collaborative improvement to the existing product, with the continued transparency and free distribution of the product through the various stages of open development. The identification of this term with crowdsourcing is mainly because the crowdsourcing has found its genesis in its application in the world of software through the OSSD. Furthermore, the OSSD has served as inspiration for a large number of cases of crowdsourcing (Howe, 2008). In fact, this same author, defines crowdsourcing as the application of the open source principles to fields outside of software. Both concepts rest on the idea that knowledge and skills are distributed. In both phenomena there is a meritocracy, where experts are empowered, chosen and respected by community members for their knowledge and ability, and not by their credentials. Both are based on the idea of outsourcing the phase of idea generation to a large and unknown crowd through an open call. There are common motivations: social recognition, the development of creative skills, ego gratification or technological interest, for example. It usually appears a similar pattern in both: a relatively small group of participants make the most of the work. The OSSD uses a business model that can only be applied to software and its openness to other industries is currently under investigation. The application of open source as a production model has its own name: OpenSourcing (Agerfalk & Fitzgerald, 2008). As indicated by members of the open source community (Grams, 2010), the OSSD is based on a code-sharing community for the common good, with many contributors and many beneficiaries. Crowdsourcing, by contrast, involves many contributors but few beneficiaries. In the OSSD the product produced is a public good, while in the crowdsourcing that product becomes the property of a company. The OSSD uses a different business model from crowdsourcing: the benefit is not obtained from the sale of products with copyright but is obtained through services a free product services and developed collaboratively. In the case of crowdsourcing, it is a company or organization decides strategically rely on the crowd to perform an activity. Despite sharing different motivations, crowdsourcing adds to these the possibility of a reward that can sometimes be money or prizes. Thus, despite having common points, such as the use of the crowd, the open call, etc.. we can say that there are differences enough to consider the OSSD, although being one of the sources which feeds the crowdsourcing, not an example of it.